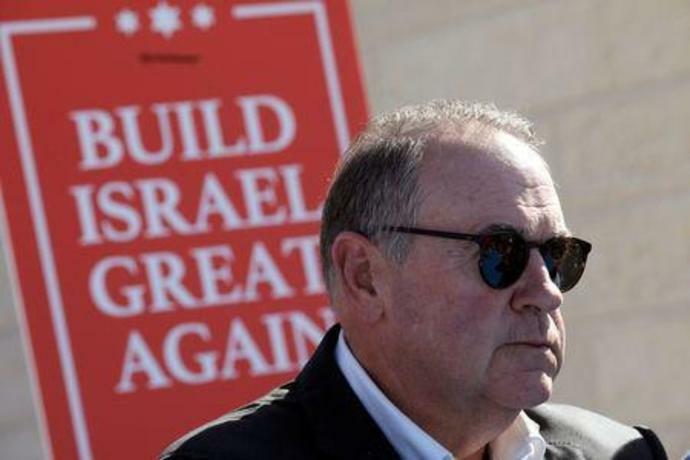 (Reuters) - It was one of those annoying snafus that air travelers encounter, and when it happened to former Arkansas Governor Mike Huckabee on Thursday, he took to Twitter to make light of it. But hundreds of his readers were not amused. The conservative commentator and former Republican presidential candidate had just landed at Nashville International Airport on a red eye flight out of Los Angeles when it was temporarily quarantined because of a possible sick passenger on board. After sitting on the ground for 40 minutes, Huckabee told his 1.08 million Twitter followers that his American Airlines plane had been quarantined. "Can't get up to go to bathroom or get off plane," he said. "It's the Russians! I just know it!" About a half-hour later, he tweeted a picture of emergency vehicles on the tarmac and announced that medical personnel were the gate, adding "Hope it's not because I got that straw in CA!" But Huckabee's humor did not go over well with most of the more than 1,600 people who tweeted back at him on Thursday morning. Many said his jokes were in poor taste because they came at the expense of a sick person. "With any luck, maybe they'll keep you quarantined forever," said a person identified as Carrie, a New Orleans writer. "With all due respect, this one doesn't even merit a courtesy laugh," added Andrew Broering of Cincinnati. The flight was kept isolated in the pre-dawn darkness because the passenger who had an undisclosed illness could not document that she had been medically cleared to fly, the airport said. Once police contacted her doctor, all passengers were released, it said. Huckabee did win support from a New York Twitter user identified as Michele Wolpert, who said, "I love your tweets, thanks for the laughs." Even when he praised the crew in a third tweet after the incident ended, Huckabee fired off another joke about the 2011 movie "Contagion" that depicts a worldwide epidemic, before adding, "Seriously, hope the lady is okay--taken on gurney." The tweet prompted an appreciative reply from American Airlines, which said "we truly appreciate your patience." But that did not go over too well either. "Don't kiss up to a man who'll mock someone probably fighting for their life right now," one Twitter user identified as Cassie tweeted in reply. After simmering on a back burner for more than a year, the fight between the U.S. major carriers and the Persian Gulf airlines is heating up again, this time over Air Italy's new routes to San Francisco and Los Angeles from Milan. But why should Delta Air Lines, American Airlines, and United Airlines care about […] The post U.S. Major Airlines Restart Fight Over Open Skies appeared first on Skift.